Ahead of upcoming elections, leading national-religious rabbi urges Jewish Home, National Union, Otzma, Yahad to form single, united list. Rabbi Zalman Melamed, dean of the Beit El Yeshiva and one of the most prominent rabbis in the religious Zionist community, spoke to Arutz Sheva on Sunday, offering support for a joint ticket including four right-wing and national-religious parties including the Jewish Home, National Union, Yahad, and Otzma Yehudit. The Jewish Home and National Union factions ran on a joint list in 2013 and 2015, netting 12 seats in the 19th Knesset and 8 in the 20th. Following the departure of Jewish Home party chief Naftali Bennett, however, the party has hovered around the 3.25% electoral threshold in recent polls, and is in danger of failing to enter the 21st Knesset - even if it runs on a joint list with National Union. While some have called for the Jewish Home and National Union to form a technical bloc with the Otzma party - widely seen as a continuation of the banned Kach party - and the Yahad party, Jewish Home and National Union have failed to reach an agreement regarding a joint run. But Rabbi Melamed remains optimistic the two sides will resolve their differences before the February 21st deadline. “Everyone understands things differently, but it is a matter of a day or two, or a few days, until a solution is found and a way to run together,” says the rabbi. 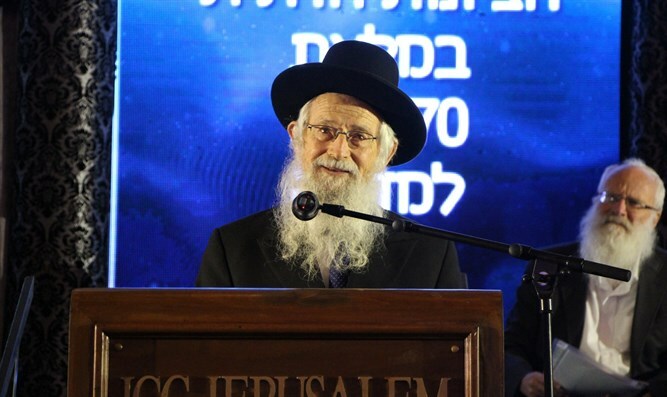 Rabbi Zalman also called for the Jewish Home and National Union to include both Otzma and Yahad in a technical bloc, saying such an alliance would yield at least eight seats in the Knesset. “Common sense says that if the Jewish Home and National Union are [projected to get] six seats following the loss of two [due to Bennett's departure], that brings us back to where we were before" Bennett joined the party in 2012. "If they join up with Yahad, whose voters have no where else to go except for a joint list, and if you add the six mandates the Jewish Home-National Union gets with three and a half more which would go to Otzma Yehudit, together you easily get eight seats in the Knesset."